Our body's healing process is just as subject to the day and night cycle as we are. You might not have noticed but that cat scratch on your hand or cut from an ill-fated cooking accident will heal faster during the day than at nighttime. While this seems counterintuitive, since most other forms of recovery happen during the wee hours, new research has set forth another theory on healing. Researchers at Cambridge University discovered that when it comes to wound healing, our bodies actually heal significantly faster if the injury is sustained during the day rather than at night, because of how circadian rhythms control cells function. In a study published in the Science Translational Medicine magazine, researchers examined how skin cells, called fibroblasts, respond differently depending on what time of day it is. 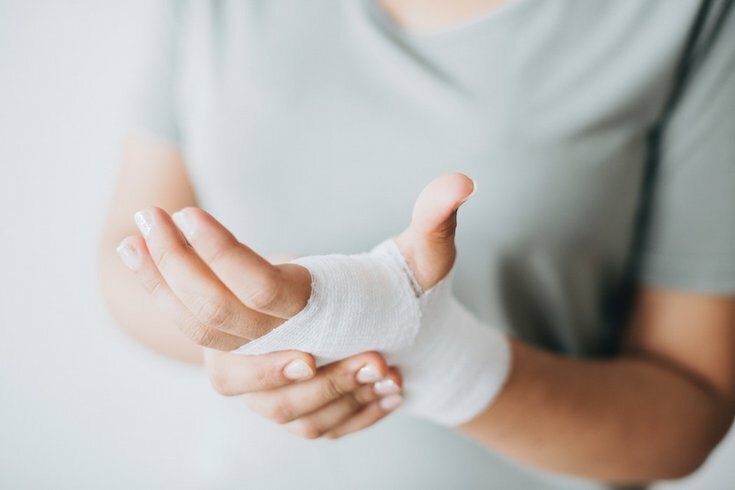 When a person gets hurt, these fibroblast cells migrate to the affected area and produce restorative proteins, such as collagen, that help rebuild damaged tissue. But fibroblast cells depend upon a protein called actin to do their restorative job, so when there isn't enough actin, fibroblast motility and impact is impaired. Interestingly, circadian timing determines the levels of actin — proving that even skin cells are slaves to the day-night cycle. To see how this all works, researchers examined fibroblast cultures grown in petri dishes. “When the cultures were scratched at different times, the wounds sustained in simulated 'night' conditions healed more slowly than those during the day, due to differing speeds of fibroblast response,” Science Alert reports. Similar results were found in experiments using live mice showed — the animals healed quicker if a cut was sustained during their waking hours than if it occurred when they would ordinarily be sleeping. "We consistently see about a two-fold difference in wound healing speed between the body clock's day and night," explained senior author and molecular biologist John O'Neill, who also pointed out that these responses can be manipulated. "In both cells and mice, we can reset the tissue healing response by tricking the cells into thinking it's a different time of day – such as by turning the lights on at night and off at different times of day for the mice, or using body clock-altering drugs on cells in the lab." These findings could potentially have a huge impact on future treatments of humans, too. One potential change could involve surgeons scheduling operations for times during which patients would be most responsive to healing. To explore the impact of this knowledge directly involving humans, researchers analyzed clinical data from patients who had received burn injuries, they found a “stunning differentiator in treatment outcomes.” Burns sustained at night — which they’ve defined as 8 p.m. to 8 a.m. — took on average about 60 percent longer to effectively heal than the similar injuries sustained during the day: 28 days for night burns, compared to just 17 days for burns received between 8 a.m. and 8 p.m.
As that is such a large gap in treatment time, this research has the potential to call for the development of new medical treatments surrounding the science of circadian rhythm.